It was my birthday on Wednesday. Not a particularly special birthday, although I believe all birthdays are special. I took the day off work as I was told we were going for dinner somewhere in London. Since we were going into town, I decided to make a day of it and booked two tickets to the first day of the Pre-Raphaelite exhibition at the Tate. The exhibition was breath-taking. So many beautiful paintings, all in one place. Some I knew well and some I had never seen before. Some artists totally unknown to me too. We spent a couple of hours there, entranced and transported by the ethereal quality of the colours and the beauty of the compositions. 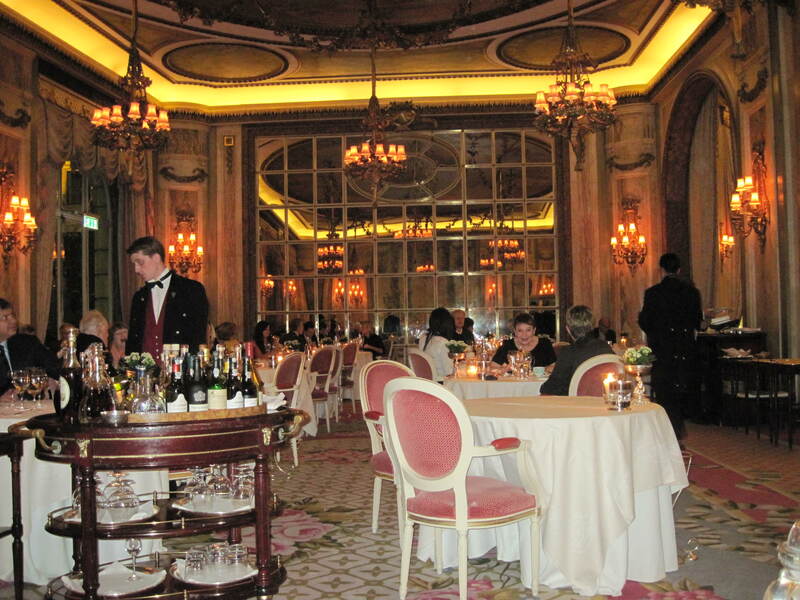 I did know by now where dinner was to be – we were dining at The Ritz! And WOW it was! Stepping through the doors was like stepping back in time. There is an elegance, a serenity, an atmosphere that cannot be described in words. The lighting, the mirrors, the high ceilings – it felt as if we had walked straight back into the 1920s. Dinner was fabulous. Seated in the most beautiful room, with a quartet playing gently in the corner, we were served by waiters in lovely waistcoats who made us feel as if we were the only guests. The meal was delicious, I had salmon, and it was mouth-wateringly beautiful, both to eat and to look at. A sommelier served us the wine of his choice to compliment the food and that was the icing on the cake for me. Everything just felt so ‘right’. 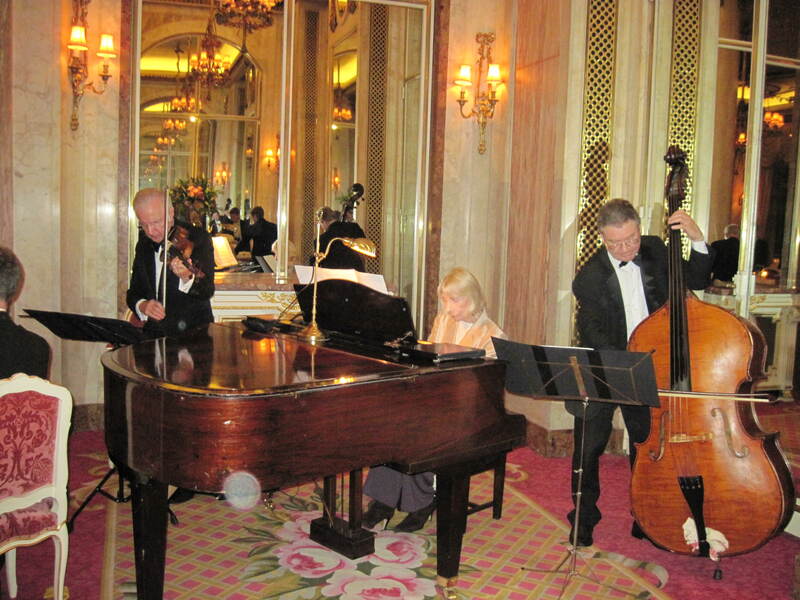 I imagined my great-aunt and uncle visiting the Ritz in the thirties, socialites that they were, and I saw a room full of ladies in beautiful long dresses and men in tuxedos with live music playing gently in the background. On Wednesday, there was no such splendour but, in it’s hey day, the Ritz must have been dazzling. We finished with a glass of Calvados and walked back through the building to the reception area and then back out onto the busy street again, back to reality and 2012. The whole day was like a time travel experience to me. I won’t forget this birthday.